Which bird did you see? Learning to identify the birds you see and hear is a wonderful skill to have. Improving your bird identification skills will lead to greater enjoyment of the birds around you. Once you can identify most of the birds you see and hear, you can support various citizen science programs or even become a researcher or professional ornithologist. Identifying Birds - which bird did you see. The first choice on your left is called Which bird did you see? In this bird identifier section you will find assistance in identifying what birds you have seen. We have selected 200 of the most commonly observed birds across the United States. They are presented in different ways and with multiple images. Bird identifcation filters inclide color, size and habitat. State-specific bird identification informaiton is also provided. If you can identify 200 bird species, you are well on your way to becoming a bird expert. If you have a photograph of your unknown bird, you might want to jump over to our Name That Bird web site. 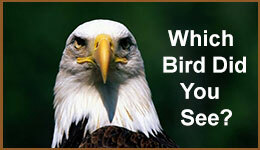 We offer a free bird ID service. Upload your image and our experts will try to identify the bird for you. Bird Family Study Guides. They serve as an advanced bird identifier resource. 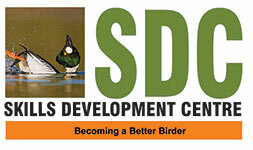 Novice to intermediate level birders will find the information useful in improving their bird ID skills.